Technology is supposed to make human problems easier to solve. At least, that is the best and most sought-after outcome. Sometimes, however, technology jumps ahead of itself, creating additional problems for the humans who use it. Take, for example, cryptocurrency. People who own it want to, well, use it. Furthermore, they want to use it without jumping through multiple hoops to do so. So far, that is not easy to do. Wouldn’t it be great if you could spend cryptocurrency as easily as swiping a credit card? If the thought of such convenience makes your head swim, well, that’s Digits. While the enthusiasm for cryptocurrency is high, there are a few obstacles holding it back from widespread adoption. People may have heard of cryptocurrency, but most are not quite sure how it works. Merchants have been less than open to accepting cryptocurrencies. For instance, although bitcoin is undoubtedly the most familiar cryptocurrency around, as of mid-2017, only three of the top 500 online retailers accepted bitcoin as payment. Unlike paying with a credit or debit card, settlement of cryptocurrency transactions can take days, making it less attractive to both consumers and merchants. Speaking of transactions, the typical speed of credit card transactions is a lightning-fast 24,000 transactions per second. Transaction speeds for cryptos fall well behind, at speeds of only seven per second. Can these obstacles be overcome? Absolutely. That’s where Digits comes into the picture. It may sound like magic, but it’s really not. Using an API that can be integrated at the merchant level, Digits enables consumers to turn their credit cards into crypto cards. This neatly solves the problem of how to use crypto to purchase merchandise at your favorite store. It really is as simple as using your credit card. It works with any debit or credit card in your wallet. You do not have to figure out how to convert your cryptos to another form of payment. Digits supports the use of bitcoin, Ether, Litecoin, and Ripple. By providing the kind of convenience that credit cards offer the typical consumer, Digits will be pivotal in making mainstream adoption of cryptocurrencies possible sooner than might otherwise have happened. 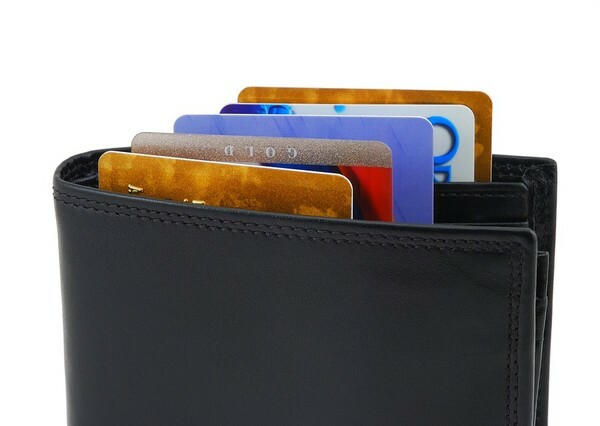 Digits turns any credit card in your wallet into a crypto card. Leverages a proven payment model: Credit cards are clearly an important part of the financial landscape. There are currently 1.5 billion credit and debit cards worldwide, and American Express, Visa, and Mastercard process over $100 billion annually. Digits works by leveraging this existing payment system, working within a proven, well-grounded framework. Serves the needs of a growing crypto community: By enabling crypto payments with credit cards, Digits serves a growing community of crypto investors eager to see real-world use cases for crypto assets. Is backed by a company with real-world credibility: Unlike many startup projects that begin with nothing but a whitepaper and a webpage, Digits has corporate backing from payment processing company Digitzs, which offers painless merchant services across multiple platforms. Has a team of founders and advisors with deep and wide experience: Digits’ team of founders and advisors are well-known innovators like Ben Way, visionaries like Laura Wagner, and a strong board that includes advisors from well-known brands like Apple, Visa, PayPal, and Shark Tank. Incubated in this environment, Digits offers a comprehensive solution that is sure to delight consumers, merchants, and investors worldwide. Want to read more about the Digits project? Download the whitepaper, check out the ICO deck, and sign up for our newsletter to stay current with the latest Digits news!